For a daily driver, diesel powered cars are fantastic. They have gobs of usable torque and return excellent fuel mileage. But now, the crazed Brits at Trident have decided to put a gigantic diesel engine in a sports car. And they say it can go 200 MPH. 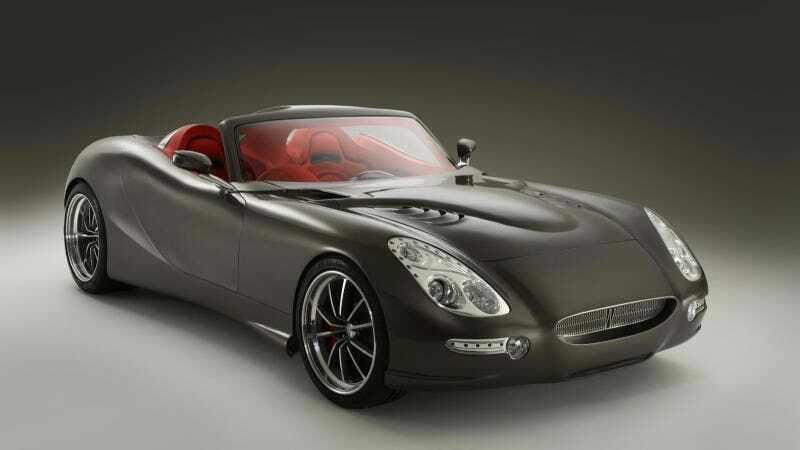 The Trident Iceni features a 6.6 liter turbo diesel engine with just 430 horsepower. But then again, it has 930 pound-feet of torque, which is actually enough to speed up continental drift. And if you'd like to actually effect the rotation of the Earth, there's an option to increase power to 660 horsepower and 1050 pound-feet of torque. Tires will be easily converted into smoke. As for fuel, the Iceni can run on mineral diesel, biodiesel, palm oil and linseed oil, gets 68 MPG, and can go 2,000 miles on one tank of fuel. And it ain't too shabby looking. It will be built in Norfolk, England and will cost around $120,000 when it goes on sale. It'll come to the U.S. as soon as dinosaurs once again begin to roam Manhattan, which means no time soon. Sounds too good to be true, especially since we've seen the concept but not the car.